Trump Slaps Tariffs On Imported Solar Panels And Washing Machines : The Two-Way The move has met with both praise and criticism from the solar energy industry. Manufacturers lobbied for the tariffs, while solar installers warned that American jobs will be lost. Solar panels that make up the Public Service Company of New Mexico's new 2-megawatt photovoltaic array in Albuquerque. Pledging to defend American businesses and workers, President Trump imposed tariffs on imported solar panel components and large residential washing machines on Monday. In a statement, U.S. Trade Representative Robert Lighthizer said that, after consulting with the interagency Trade Policy Committee and the bipartisan U.S. International Trade Commission, the president decided that "increased foreign imports of washers and solar cells and modules are a substantial cause of serious injury to domestic manufacturers." The administration approved tariffs of 20 percent on the first 1.2 million washers and 50 percent of all subsequent imported washers in the following two years. 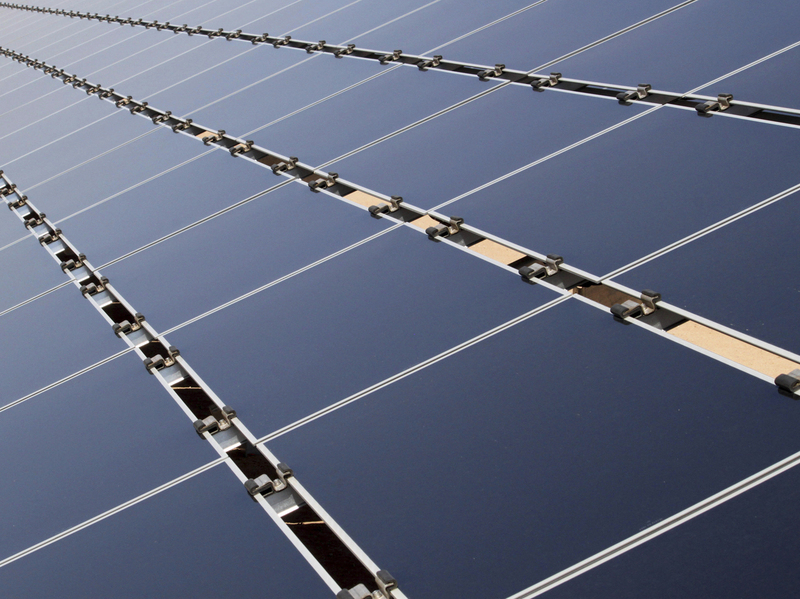 A 30 percent tariff will be imposed on solar panel components, with the rate declining over four years. The move against imported solar components splits the solar panel industry with manufacturers favoring the tariffs as a necessary step to save domestic subsidiary companies, while installers oppose them as job-killers. Two domestic manufacturers, Georgia-based Suniva and Oregon-based Solar-World, who have complained about competing with cheaper panels produced in Asia, stand to benefit from the tariffs. According to Bloomberg, Suniva has a Chinese majority owner and Solar-World is a unit of the German manufacturer SolarWorld AG. "SolarWorld laid off much of its workforce and Suniva was forced into bankruptcy, even as U.S. solar panel installations grew dramatically in recent years. That growth was largely attributed to the cheaper panels from overseas. 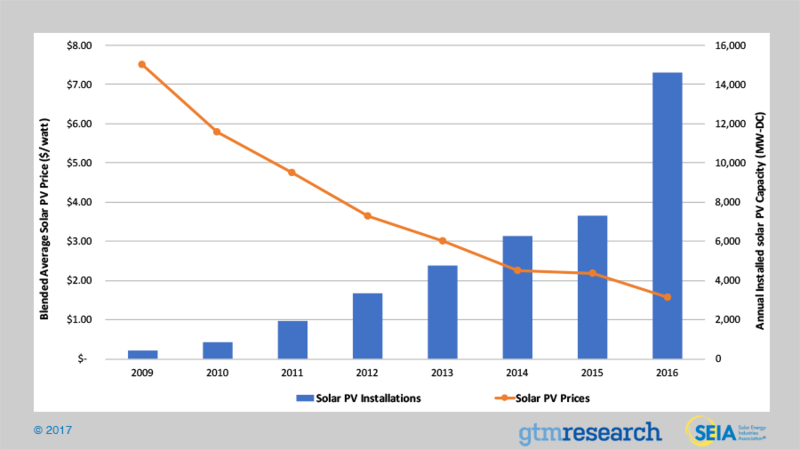 Solar panel prices have fallen by more than 70 percent since 2010, according to the Solar Energy Industries Association. For many homeowners installing solar panels has become more affordable, but now the industry's main trade group worries that if prices go up the installation boom could come to a halt." "SolarWorld Americas appreciates the hard work of President Trump, the U.S. Trade Representative, and this administration in reaching today's decision, and the President's recognition of the importance of solar manufacturing to America's economic and national security. We are still reviewing these remedies, and are hopeful they will be enough to address the import surge and to rebuild solar manufacturing in the United States." But representatives for the sector of the industry that actually installs solar panels criticized the move, saying that making imported solar components more costly will likely dampen demand for solar panels. The President and CEO of the Solar Energy Industries Association, Abigail Ross Hopper, predicted the tariffs lead to the loss of roughly 23,000 American jobs this year. "While tariffs in this case will not create adequate cell or module manufacturing to meet U.S. demand, or keep foreign-owned Suniva and SolarWorld afloat, they will create a crisis in a part of our economy that has been thriving, which will ultimately cost tens of thousands of hard-working, blue-collar Americans their jobs."